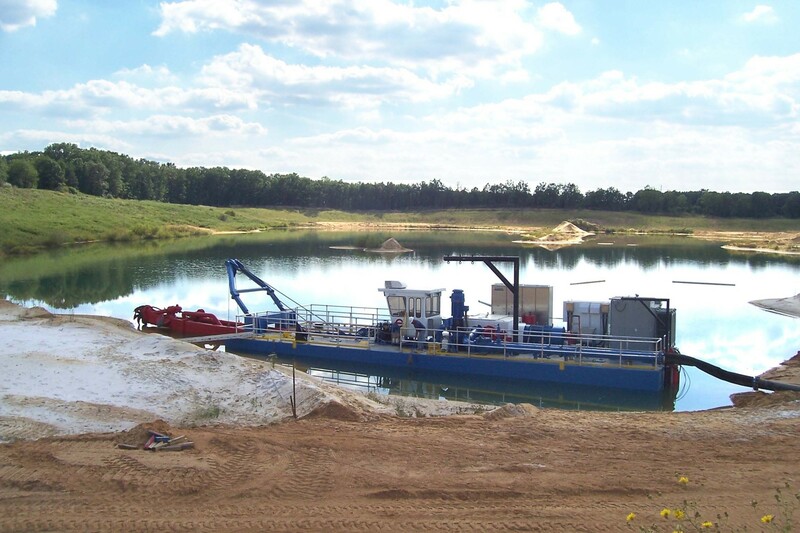 obtaining sand and other materials at reasonably deep depths. 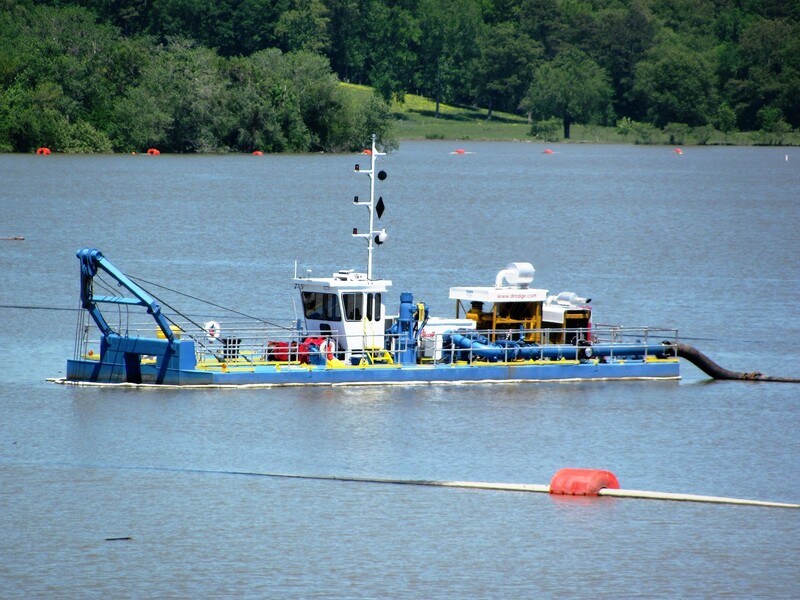 This sturdy, dependable, and portable dredge features dual water nozzles at the cutter for cleaning clays or dislodging other materials from the cutter blades without manual intervention. • Highly portable for trucking to inland locations. • State-of-the-Art PLC-based control system. • Jet pump assist allows for high production rate in deep digging applications without the complications of a ladder pump. 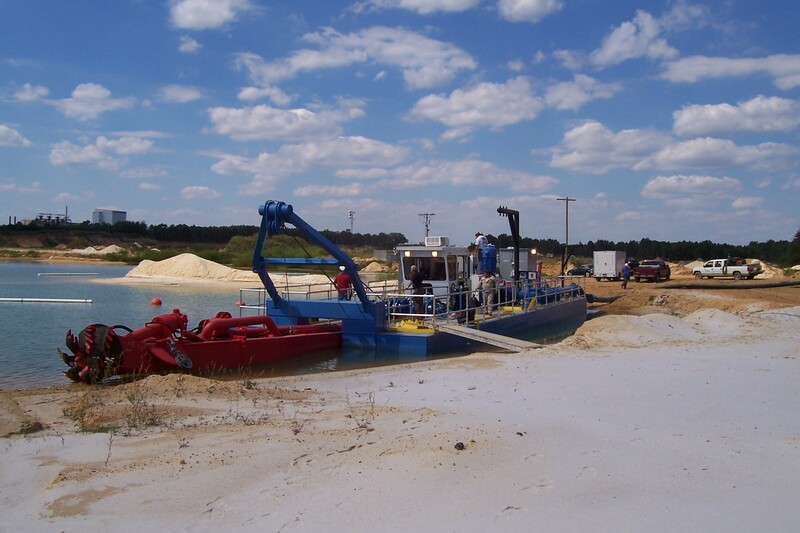 • Typical uses include sand and gravel dredging, land reclamation dredging, and smaller contractor applications.